Merryn (or Merin) was the son of Seithennin, a sub-king of Caer Rihog, probably around Lleyn. 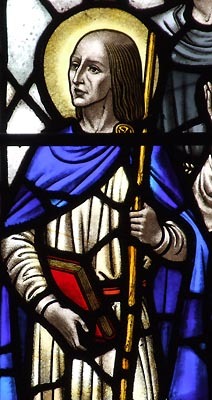 He entered the religious life as a hermit at Bodfelin on Ynys Mon (Anglesey) before emigrating to Brittany where he was a zealous missionary, establishing churches dedicated to him at Lanmerin and Plomelin. He later returned to Britain and settled in Cerniw (Cornwall), living at St. Merryn near Padstow.